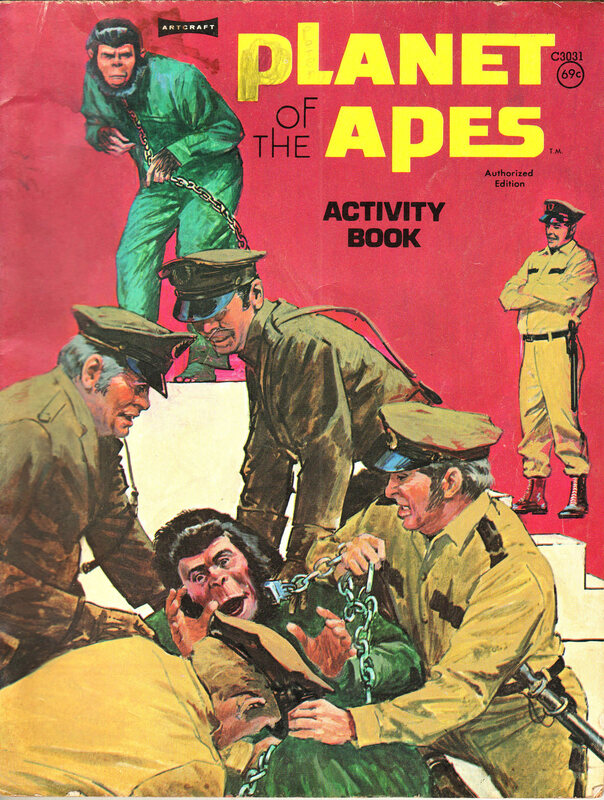 It's been a while since I cracked the spine of a colouring book so what better a subject than Planet of the Apes? 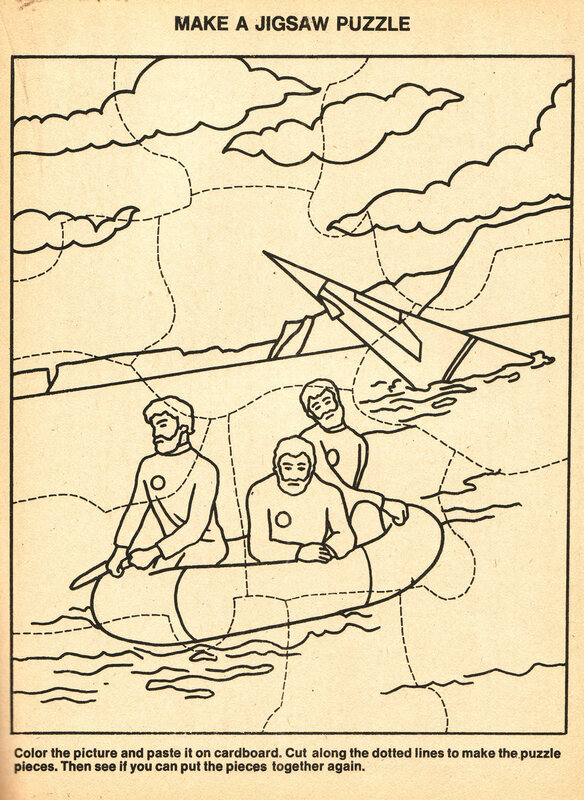 I was drawn to this art craft activity book because of this nicely drawn but kind of dark cover from "Conquest of the Planet of the Apes". Sheese, even Power Records chose to sidestep Conquest due to it's violent themes. 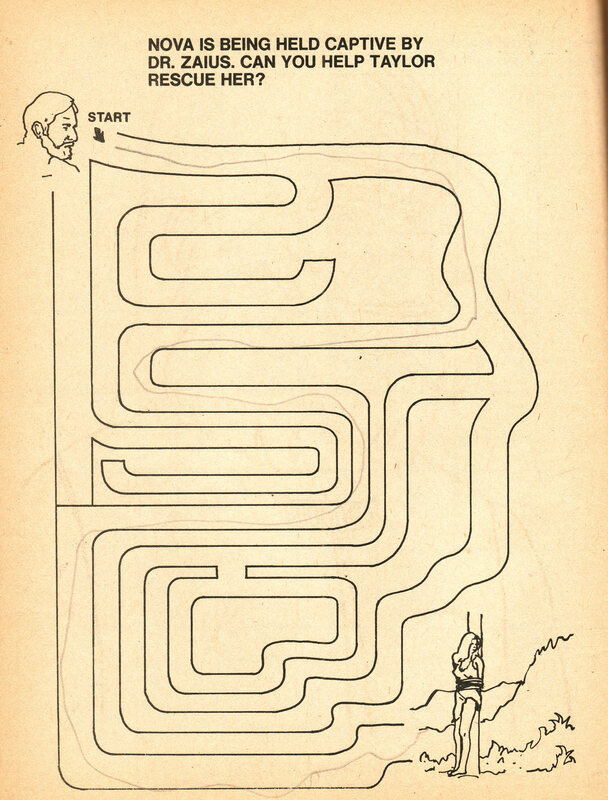 Grab your crayons and join me after the jump! I was mildy disappointed (but not surprised) to find the guts of this book are only relevant to the original film. Generic George Taylor is on every other page of this thing! I think it's more of a challenge cutting this out than it would be to put this thing together. OK, I'm a life long Apes fan and know well more than I should but who the %*^$ is Honorious? 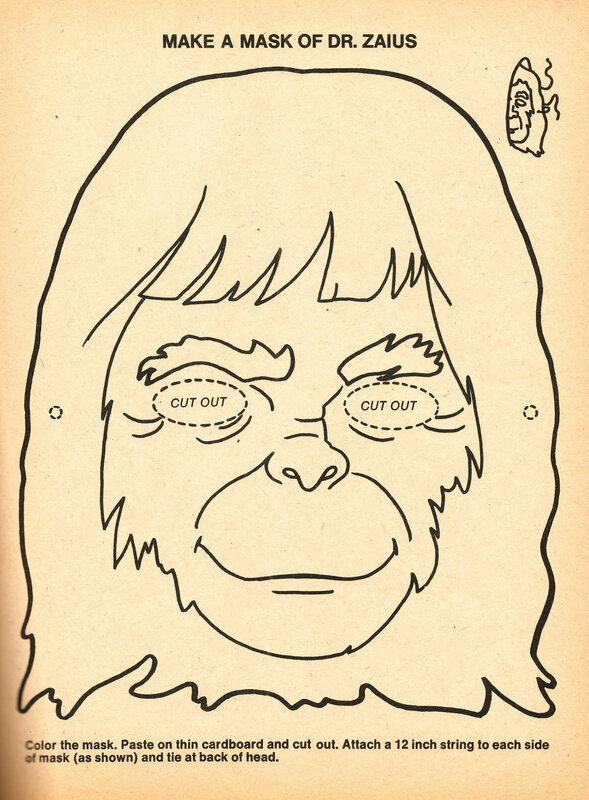 Honorius (it's spelled incorrectly in the activity book) was one of the Orangutan prosecutors at Taylor's "trial" in the first film. 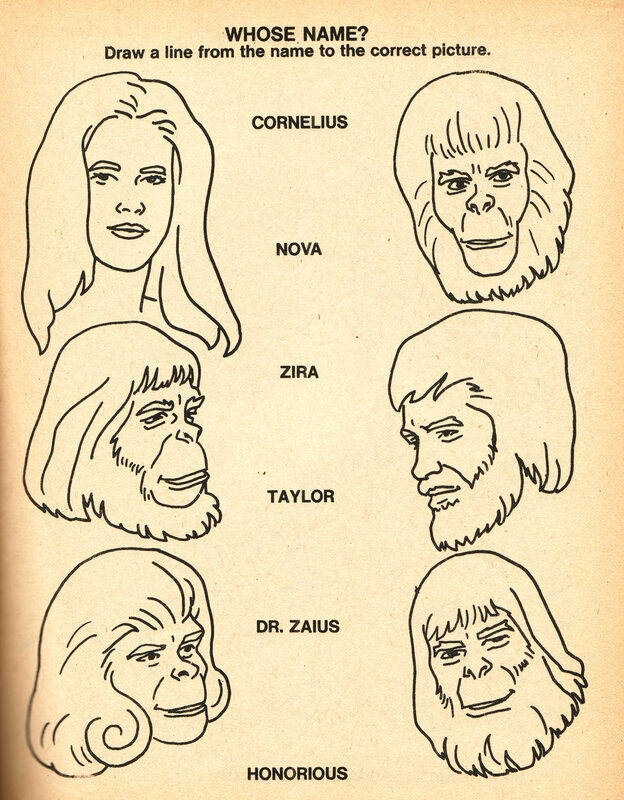 Although in this simplified art style telling him apart from Zaius is near;y impossible. I also like how the "jigsaw puzzle" pieces are formed as to barely hold onto each other. 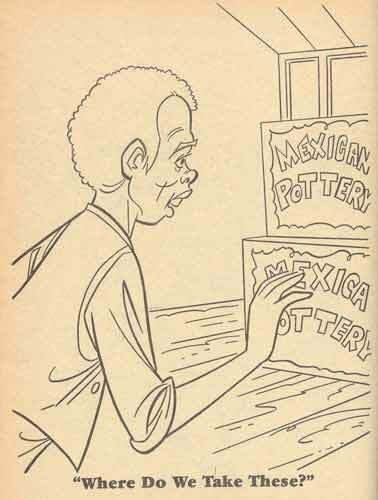 Thanks Stan, I kind of assumed but I can't imagine any kid knew that in 1974. Holy crap, I HAD this! Whoa -- memory flood. I got it in a 5 and 10 cent store in Peachtree Battle Shopping Center, Atlanta while spending the weekend at my grandmother's apartment. I still remember going through it and eating the butterscotch Now 'n' Laters I bought along with it. Wow. Thanks for the memory, PlaidStallions.